You’ve probably never heard of Sam Spiegel. However, with three Oscars to his name, the Polish-born American was one of the most impressive and influential figures of the golden age of Hollywood. 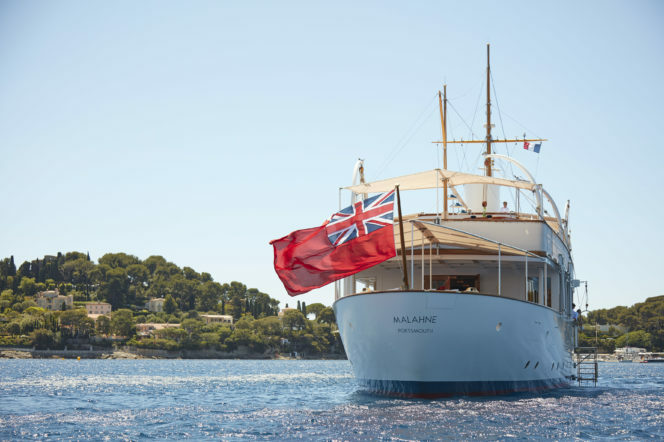 He won critical acclaim for films including The Bridge on the River Kwai and Lawrence of Arabia – but gets his biggest round of applause from us for a purchase he made in the early 1960s: the uniquely Art Deco yacht Malahne. The yacht, distinct in its vintage design, was first launched almost a century ago in 1937. Commissioned and built by Yorkshire-born retailer and businessman William Lawrence Stephenson, who ran operations for American juggernaut FW Woolworth in Britain, the yacht spent its first years cruising the Mediterranean – where it fortuitously resides today, available for charter from Edmiston. 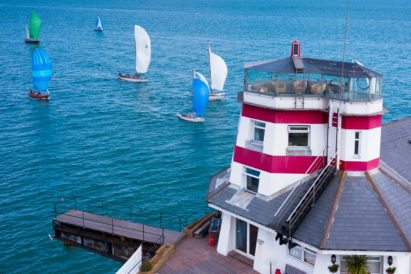 Stephenson took the yacht across the globe, before war struck and the beautiful vessel itself was called up to service, taking part in World War II and even participating in the iconic and harrowing evacuation of Dunkirk. But, after taking it easy for several years after her service, Spiegel bought Malahne to become the floating headquarters for production on the David Lean epic Lawrence of Arabia. "The yacht, distinct in its vintage design, was first launched almost a century ago in 1937..."
And this was just the start of Malahne’s starring role on the waters. 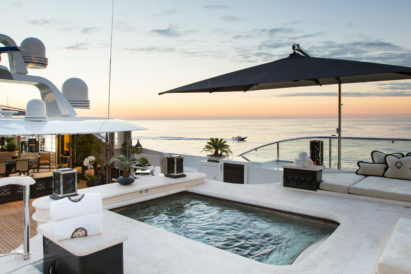 Quickly becoming not just the most famous yacht in Hollywood circles, but across the world, Spiegel entertained a veritable who’s-who of guests on-board – from Elizabeth Taylor and Grace Kelly to Kirk Douglas and Jack Nicholson. Frank Sinatra even stepped aboard a couple of times, and the vessel’s beautiful interiors were used as the set for James Mason and Raquel Welch’s 1973 murder mystery The Last of Sheila. However, in 1983, Saudi Sheikh Adel Al Mojil changed the yacht almost beyond recognition when he bought it, altering the superstructure and redesigning the interior from scratch. It remained this way until 2009, when Nicholas Edmiston finally secured Malahne, and hoped to completely restore it to the original 1937 specifications, to both bring a historic boating experience back to the water, and to honour the vessel’s thoroughbred and considerable heritage. As such, the yacht was handed over to the consumate design experts at the Pendennis Shipyard, specialist restorers based in Cornwall. 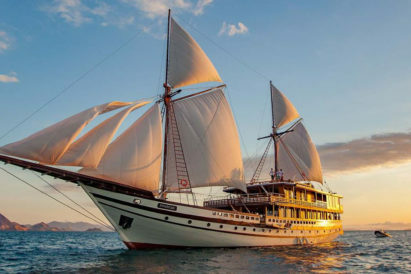 They worked their magic on the boat, meticulously undoing much of the Sheikh’s changes to return Malahne back to her original glory – and that meant recruiting the very best. 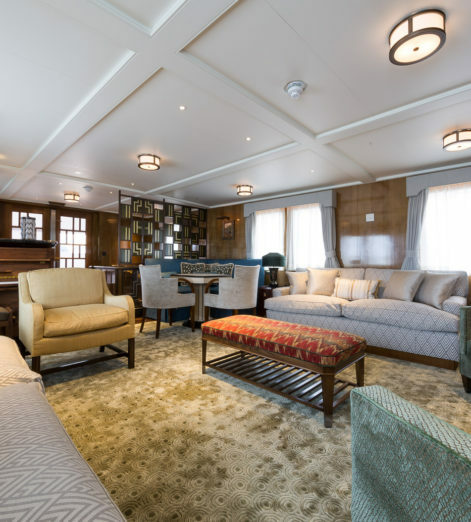 Guy Oliver, the design mastermind behind the staterooms of 10 Downing Street, recreated the stunning period interior – adding a couple of 21st century comforts to update the yacht for the modern age. 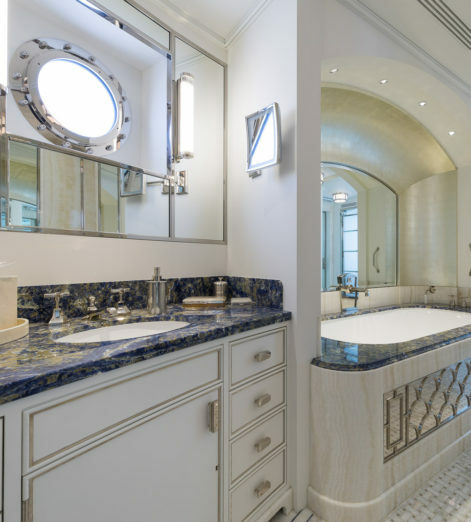 A blend of prints and solids, soft-to-the-touch materials and striking woods were employed to evoke the Art Deco feel, and grand bathrooms with tubs, writing desks and cosy seating areas were included to create an elegant and captivating interior for 10 guests. "They worked their magic on the boat, meticulously undoing much of the Sheikh’s changes to return Malahne back to her original glory..."
Edmiston, to this day, offer Malahne on charter. 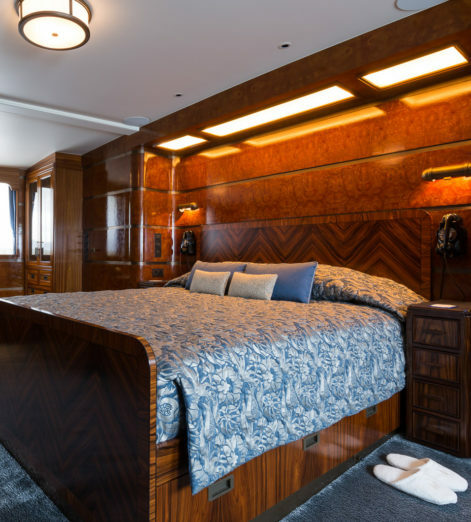 Her unmatched on-board splendour and old-school sophistication are tempered with a bespoke modern lighting scheme, flexible cabin configuration and 7.5m Custom Cockwells Varnished Mahogany High Speed tender for ease. 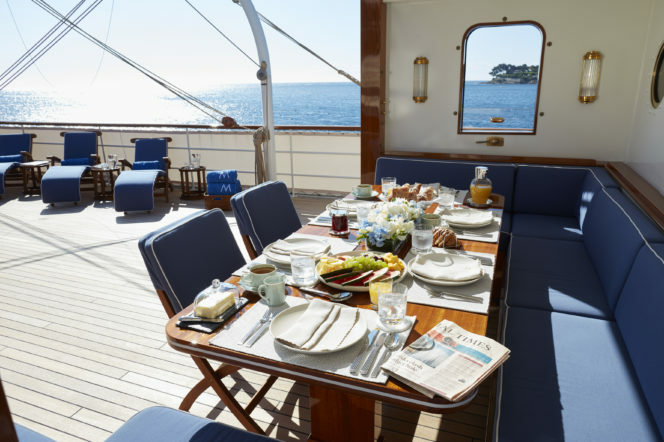 So, if you’re after a yacht with everything from a shaded aft sundeck and world renowned chef, to a genuinely thrilling backstory and lashings of heritage, why not click below to learn more – and create your own story on-board to add to Malahne’s rich, fascinating history. 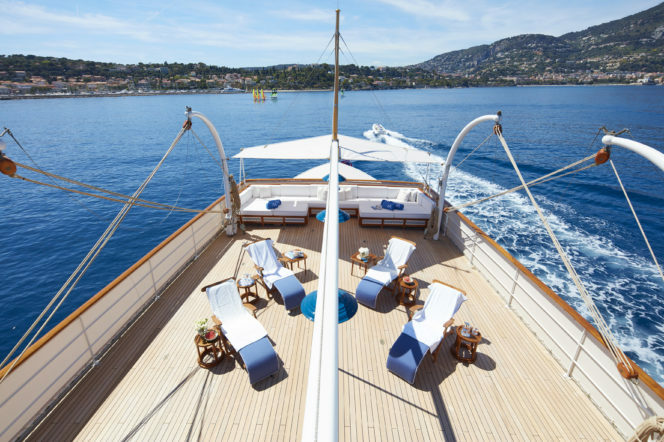 Malahne is currently available for charter through Edmiston in the Mediterranean. 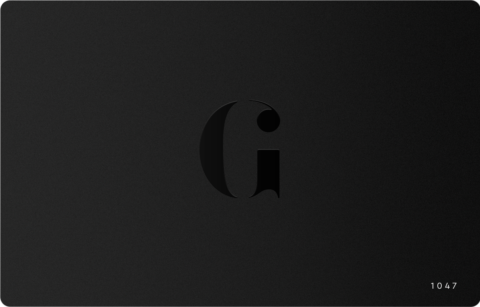 Click here to enquire.